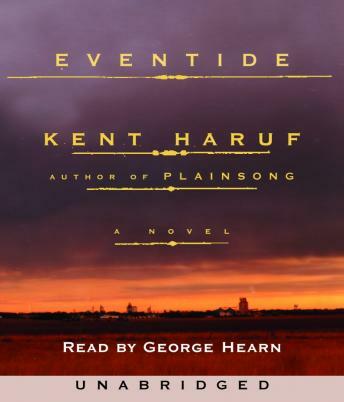 One of the most beloved novels in recent years, Plainsong was a best-seller from coast to coast—and now Kent Haruf returns to the High Plains community of Holt, Colorado, with a story of even more masterful authority. When the McPheron brothers see Victoria Roubideaux, the single mother they’d taken in, move from their ranch to begin college, an emptiness opens before them—and for many other townspeople it also promises to be a long, hard winter. A young boy living alone with his grandfather helps out a neighbor whose husband, off in Alaska, suddenly isn’t coming home, leaving her to raise their two daughters. At school the children of a disabled couple suffer indignities that their parents know all too well in their own lives, with only a social worker to look after them and a violent relative to endanger them further. But in a small town a great many people encounter one another frequently, often surprisingly, and destinies soon become entwined—for good and for ill—as they confront events that sorely test the limits of their resilience and means, with no refuge available except what their own character and that of others afford them.